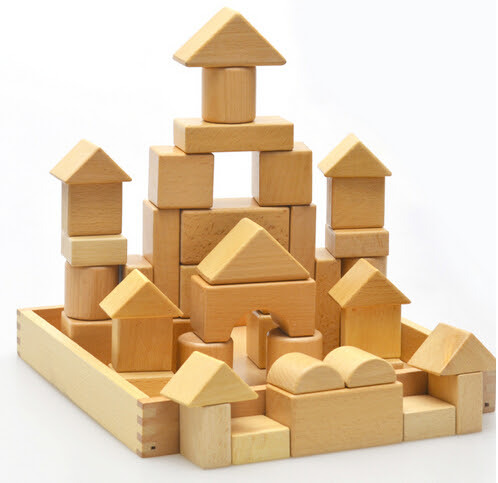 Use building blocks to build your lesson - building a home. Make labels that coordinate with the lesson and place on the blocks you will need. There are five sections to this lesson. You could find five same-sized blocks to create pillars to hold up a roof (maybe a plate or one solid piece of wood the right size at the end, held up by the pillars, that will preserve and protect a family. You could use little toy people to represent a husband, wife and children.